MARAWI CITY, Philippines (Mindanao Examiner / Apr. 14, 2011) – The government-run Mindanao State University has ordered a stop to all collections of unauthorized fees and regulate financial contributions of students. The move is part of an ongoing measures ordered by MSU President Dr Macapado Muslim aimed at reducing financial burden of students. Unauthorized collections are those not approved by MSU’s Board of Regents. Muslim also scrapped all unnecessary field trips unless they are related to the course requirements students. The MSU recently held a consultation on the adjustment of P50 per unit on tuition fees and another P200 for library fee. In 2003, the Board of Regents approved a staggered tuition fee increase of P25.00 per unit in the first year and an additional P25 per unit for every year thereafter until it reached P100.00 per unit. “This tuition fee adjustment is a one-shot ‘catching up’ resource generation strategy of the university, and is not intended to be the beginning of a series of subsequent increase in tuition fees,” Muslim said, adding there will be no subsequent increase in tuition fees for the next three years. He said the small increase in tuition is a far cry from other the P1,000 per unit other state universities charge. “The MSU did not have any increase in tuition fees for many years now and this also resulted in terrible inadequacies in academic resources, equipment and facilities. We need to be at par with other universities as far as education standards is concerned,” Muslim said. Majority of the MSU’s student population favor the minimal tuition fee increase. “The implementation of the tuition fee adjustment and library fees will capacitate the MSU's main campus to catch up with the other prestigious universities in Mindanao and the rest of the country and produce highly competitive college graduates, in other word, this tuition fee adjustment is in the best interest of the students,” Muslim said. “I am proud to say that the MSU's main campus is widely known as a top caliber, higher educational institution, the premier university in Southern Philippines hence, it should strive for optimum competitiveness nationally and internationally,” he said. 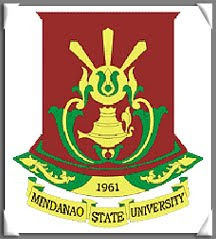 The Mindanao State University was created under Republic Act 1387 and established in Marawi City in Lanao del Sur province on September 1, 1961. With only three colleges then - Community Development, Liberal Arts and Education – the MSU now has grown into a multi-campus university yystem with seventeen colleges and degree-granting units in the Marawi campus alone.